From the who are Florida Atlantic department... GZA @ Emo's on Sept 3rd! Well just watched "No Country for Old Men" and I'm gonna say WTF?!? Did I miss something? I mean this is how I saw it... man finds drug money, then killing ensues, the end! 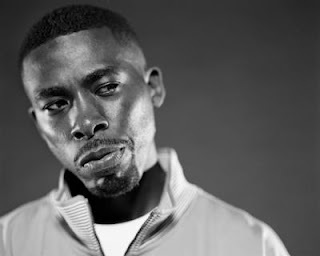 Gary Grice, better known as GZA ([ˈdʒɪzʌ]), or The Genius, (born August 22, 1966 in Staten Island, New York) is an American hip hop artist. He is best known as a founding member of the seminal hip hop group the Wu-Tang Clan. In addition to appearing on all the Wu-Tang Clan albums he has released five solo albums and has appeared on many other Clanmates' solo releases. Grice developed an interest in hip-hop alongside his cousins Robert Diggs and Russell Jones. They performed together as a group called All In Together Now with Grice going under the alias The Genius; Diggs and Jones performed as The Scientist and The Professor respectively (It should be noted these names weren't meant to be permanent according to RZA, e.g. Jones was also known as the Genius for a time). After gaining some notoriety in the underground Grice and Diggs were signed as solo artists. Grice managed to ink a deal with legendary hip-hop label Cold Chillin' Records. In 1990 Grice released his debut album under the moniker - The Genius with Words from the Genius. The album was produced by Easy Mo Bee and was heavily influenced by the style of Cold Chillin at the time. The corporate heads of that label wanted to make Grice a commercially viable artist like Big Daddy Kane. However critical reception for the album was lukewarm at best, and sales were disappointing. Eventually Grice directed his new personal managers James Garfield and Geoffrey L. Garfield to get him released from his contract and left the label. Grice's experience with Cold Chillin was shared with Diggs' experience at Tommy Boy Records, who had only managed to put out an EP under the alias Prince Rakeem.